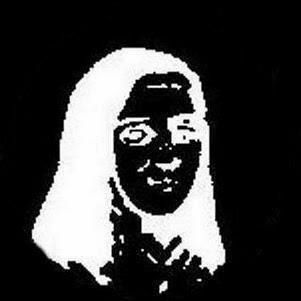 Just keep looking at those 3 spots over the nose for 10 sec. Then raise your eyes upwards and stare at a blank wall for 20 seconds. Tell me what you see! A metaphor for past life legacies that still need to be cleaned up. For example, if you were cruel in a past life you may well spend this life learning about not-cruelty. Overlay what you see after staring at the picture, on top of it – you end up with a clean slate. Get it? Tis not about good and evil. Tis about what works and not works. Tis about nature. Tis about how everything evolves to the good, eventually. Tis about Light. It may take some of us a lot longer to evolve than others. That’s why we have leaders to the Light in the world. They’re not here to hang around doing nothing – despite their patience being tried more than ever, right now. This entry was posted on October 11, 2011, 11:17 and is filed under Fun and Laughs, Soundbytes of Wisdom, Visions and Dreams. You can follow any responses to this entry through RSS 2.0. You can leave a response, or trackback from your own site.